Now if you’ve ever been familiar with the highly successful and iconic franchise, The Fast And Furious series. Then I’m 99.9% sure that you’re aware of one of the star cars, an icon that wouldn’t be so famous, if it weren’t for Paul Walker and Vin Diesel. I’m talking about the madly respected, and insanely loved, Toyota Supra! If it weren’t for the high grossing franchise, then this and the Nissan Skyline GT-R wouldn’t be so hyped up. If you have an internet, and are a fan of the world of cars, then you won’t have to browse for long to see that the Supra is one of the world’s most loved cars. In all honesty, I’ve never seen such an adored car that’s not brand new! My friends on Facebook even have a love affair for the Supra, and they don’t even know much about cars. Now that’s a kind of love, that you won’t find in much other old cars. Glossing over the 2JZ hype, as I’m sure you’re aware, something astonishing is to happen by 2018. There’s going to be the return of a film legend, a resurrection of a Facebook share post. Oh yes, I’m talking about an ALL NEW Supra! It seems that the internet has gone bonkers after seeing the new spy-shots of the upcoming car. In fairness, we are not even certain if Toyota will even use the Supra name for definite, but the chances are high, so let’s stick with it. However, as the rest of the internet has gone mental over this new car. Me on the other hand, isn’t quite so excited after seeing the supposed details. Allow me to explain why I’m not so hyped over this new Supra. So What Made The Old One Great? As I’ve explained in the intro, the original is literally adored by anyone who’s seen Fast and Furious and has access to the internet. But let’s get over the subjective modified cars and look at the untouched example, to see why it was such a hit back in the late ’90s. Toyota had their guns aimed at their neighbours, Nissan and Honda. The ultimate Japanese performance weapons in which the Supra had to compete against, was the technologically amazing Nissan Skyline GT-R, and the Aryton Senna approved Honda NSX. Call me a competition critic, but that was some pretty stiff rivalry at a time when ‘easy to live with’ performance was becoming a growing trend. So naturally, Toyota threw in all of their cards, when they made the bewitchingly quick Supra Twin Turbo. This was a 4 seater Toyota coupe, which could cover up to 0-60 in just 4.6 seconds, and go onto a top speed of a massive 177mph! That was enough to scare people in almost ANY available Porsche or Ferrari. This was all helped by a 3.0 litre straight six engine, from a Lexus… Ah, but don’t despair, because 2 socking great turbochargers were strapped to it and the car now produced 326bhp and 410 N.m of torque! Seems pretty tasty even by today’s standards doesn’t it? However, the base model MK4 Supra, which was naturally aspirated only produced 223bhp and 280 N.m of torque. It wasn’t that mentally quick at a 0-60 time of 6.2 seconds, and it wasn’t loved either by enthusiasts. Simply because it was what they might’ve called; “Under-powered”. But anyway, it wasn’t the N/A version that we all loved, it was the mighty fast twin turbo version! That alone is probably why car enthusiasts are so hyped up about the new Supra, but I’m not for some particular reasons. 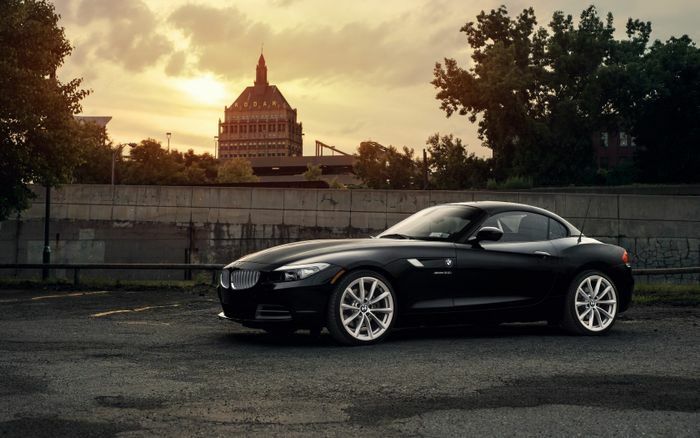 In case you don’t know, the new Supra is to be based on BMW’s Z4 replacement, the Z5. And to me, that’s a bit of a problem. Of course, this might make us assured that the car will be naturally excellent around corners and to have a near perfect 50/50 weight distribution. Which matters in a performance car! But then again, have you ever tried to dip chocolate in coke? Yes, both are awesome things, but those two together? It’s a bit of a sacrilege to me. Having the new Supra sharing a platform with BMW may just ruin what Toyota’s performance scheme is all about, having their own unique platform, that out-performs rivals with no help required. 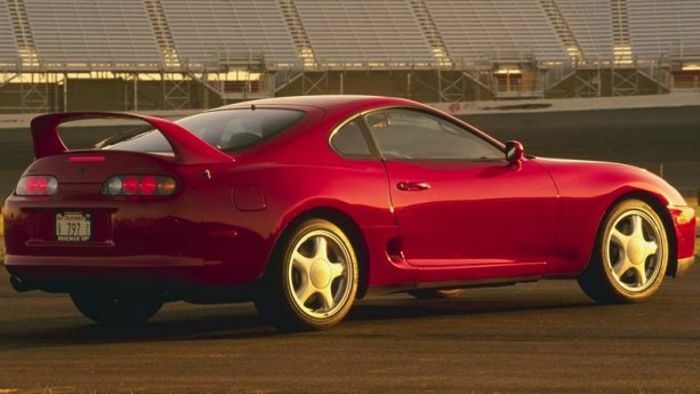 And that’s just one of the things that made the old Supra a truly great car! It was an independent success. Some partnerships work, but BMW and Toyota, kind of don’t in my view. Mind you, I can’t judge this point fully until the car has been road tested. But it’s really reducing my excitement, I mean a lot. Now the two cars pictured above are in my mind, what the Supra should really be gunning against. The Honda NSX, and the Nissan GT-R. Both are capable of hitting 0-60 fast enough to blitz almost ANY supercar, both are kicking out well over 500bhp, and both are pure, thoroughbred supercars. However, reports on the new Supra suggest that the new car isn’t targeting these two titans. Now, I’ve been informed that the new Supra is to use a Lexus V6 combined with electric motors. So it’ll be a hybrid performance car, and I’m completely fine with that. However, 400bhp? Really? 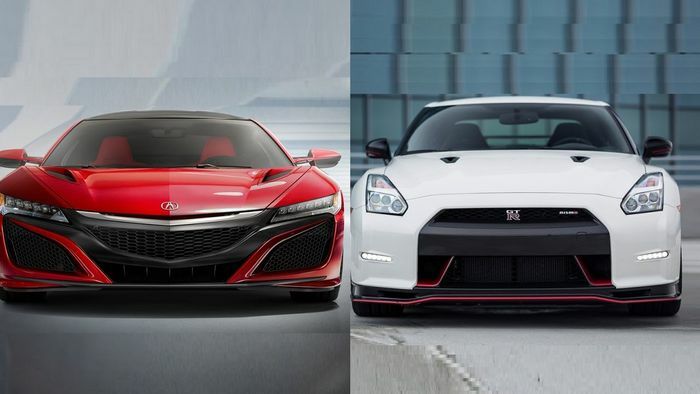 Compare to the NSX and GT-R that’s absolutely pathetic! However, there have been no reports as to there being a super-performance version of the new car, producing over 500bhp. But still, those figures alone are making me lose hope as if this new car will be any good. But then again, Toyota may be making an upper class sports car to go above the GT-86. And that seems like a very nice idea, I support that just as long as it doesn’t wear the Supra name tag. Because if that’s so, I’ll be very disappointed with the Japanese brand. Now I’m a bit of a size critic myself, so forgive me on this one please. 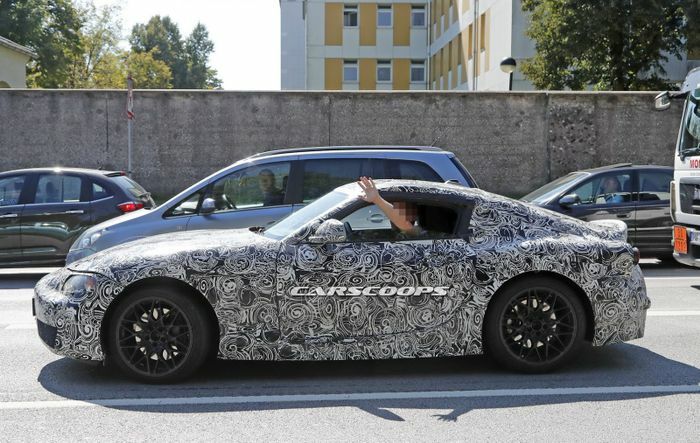 But as I’ve been looking at the spy-shots for the upcoming car, I couldn’t help but notice that this is actually quite a short and compact looking sports car. Of course, cars sometimes do look smaller in the pictures than in real life. But I’m not confident that this will be the case for the new Supra, because the GT-R and the NSX are both pretty sizeable cars considering their price and class. 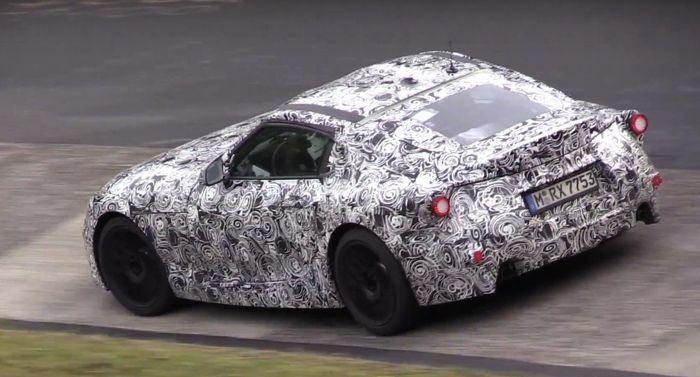 So I’m left to believe that this new Supra will be in a completely different class of sports car than those two supercars. Size is actually more important than you may suggest, because would you buy a smaller television for the same price, if not more than the larger one with better quality? I wouldn’t either, and that I think is the problem in which the new Supra will face. Because according to reports, the top spec models could cost anywhere from £60k-80k. That’s Nissan GT-R money! And the new Supra may only just overshadow the lesser 370Z Nismo, which seems a bit of a lost opportunity. Not only for Toyota, but for the giddy fans too. I’m sorry to break it to you, but that’s what the truth seems to be beholding for the new Supra. As I’ve said though, this car may not even be named the Supra anyway! But if it is, then I won’t really care much for it. So there we are, there’s my reasoning as to why I’m not that hyped up about the upcoming Toyota Supra. I hope you enjoyed this post!